Dr. Rajendra B. Metgudmath completed Master’s Degree in Otolaryngology in 2002 from J. N. Medical College, Belgaum, India. Further he has received specialised training in Head & Neck Surgical Oncology from the Tata Memorial Hospital, a premier cancer centre at Mumbai. Prior to joining NMC Healthcare, he has worked as the Senior Consultant & Professor of ENT & Head & Neck Surgery and also as the Chief & Senior Consultant of Head & Neck Surgical Oncology Division at K.L.E.S. Dr. Prabhakar Kore Hospital & MRC, Belgaum. Dr. Rajendra B. Metgudmath is a life member of numerous professional organizations and has handled various positions in those organizations. He has vast academic experience with over 14 publications in various indexed International and National journals & a chapter in International text book to his credit. He has attended over 100 workshops /conferences. Has been the faculty for numerous International & National conferences. He has delivered many guest lectures, presented over 30 scientific presentations and has been awarded 7 gold medals for various scientific presentations. He is reviewer to many International & National journals. Dr. Rajendra has vast experience and expertise in diagnosing & management of routine ENT diseases, as well as in handling both benign and malignant diseases in Head & Neck. Along with routine ENT surgeries such as Adenotonsillectomy, Septoplasty, Endoscopic sinonasal surgery, Tympanoplasty etc he is an expert in performing major complicated surgeries such as Thyroid surgery, Parotid gland surgery, Submandibular gland surgery, Microlaryngeal surgery, Thyroglossal cyst surgery, Preauricular sinus surgery, Neck dissections, other various surgeries for Oral cancer, Laryngeal cancer, Nose & Paranasal sinus cancer. 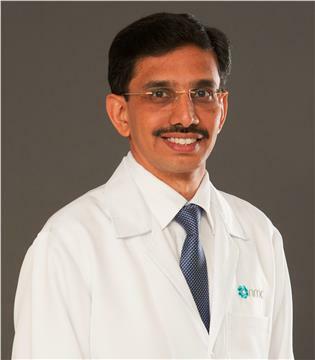 Dr. Rajendra has special interest in Head & Neck Surgeries and has over 15 years of professional experience. He speaks English, Kannada, Hindi and Marathi.